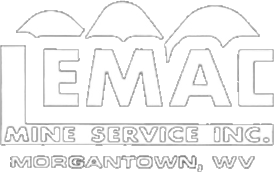 In 1979, LEMAC Mine Service, Inc. was established in the coal community of Northern West Virginia. Since its inception, LEMAC Mine Service has offered unrivaled mining services such as component repairs and full rebuilds of underground mining equipment to the West Virginia, Pennsylvania, Ohio and Virginia mining industries. The LEMAC team also has the skills necessary to perform additional services such as a full machine shop, welding, electrical and hydraulic services. With MSHA 2G approvals on Joy 14bu loaders, the LEMAC team undergoes mandatory Forklift Safety Programs and places a high priority on safety while performing all services. We offer a full line of Machinery Rebuilds that will fit any need. We’re fully equipped to handle component repairs for a variety of equipment. We have the service exchange unit you need for your next job.